In the months prior to the U.S. Supreme Court’s Janus ruling, which ended the practice of public-sector unions charging agency fees to nonmembers, we were warned of the devastating effects it would have on union membership. In the months since the Janus ruling, we have heard union officials across the country tell us the effects have been negligible. The truth, it seems, lies somewhere in between. Union Report has obtained internal membership documents from the Maryland State Education Association. Now, for the first time, we have hard numbers from a National Education Association state affiliate directly affected by the Janus ruling. The documents provide unfiltered membership numbers for each of the local affiliates. Even better, the union computed market-share ratios for each affiliate; that is, the percentage of members out of the total pool of employees who are eligible for membership. Overall, the figures show drops in both membership and market share between May 31 and Aug. 31, but nothing to set off panic. The union also lost revenue from almost 3,300 agency fee payers. Posting the union documents might compromise my sources, so I have culled the figures to create an original table. The biggest takeaways from these numbers are the wide range of market share from one local affiliate to the next and the very large differences in market share between certified employees and support employees. This makes sense, as Maryland teachers can more easily afford the dues than can bus drivers, custodians, and food service workers. However, these figures cannot be taken as definitive on the question of how the loss of agency fees will affect union membership. Teacher unions are most likely to lose members during the summer for all sorts of reasons, not just a change in the law. On the other hand, the union’s locals have a variety of resignation windows, and some of them ran through September, after these numbers were reported. That window is not the easiest thing to determine, but I spent most of a day digging through Maryland school and union documents to retrieve the resignation dates for the teachers in each of 23 locals. Most of the windows are different from one another, and it is problematic for some teachers to find where those dates are located. Allegany: Collective bargaining agreement allows union resignation during the first 15 days of the school year. Anne Arundel: Union bylaws designate Aug. 15–Sept. 1. Baltimore County: Collective bargaining agreement, Sept. 1-15. Calvert: Collective bargaining agreement, prior to Sept. 5. Caroline: Collective bargaining agreement, prior to Sept. 15. Carroll: Local union membership application form, Aug. 1–Sept. 1. Cecil: Collective bargaining agreement, Sept. 1-30. Charles: Collective bargaining agreement, sent via certified mail to the union by Sept. 10. Dorchester: CBA, prior to Sept. 1. Frederick: No window designated in collective bargaining agreement or bylaws. Garrett: Collective bargaining agreement, Aug. 20–Sept. 5. Harford: Collective bargaining agreement, Sept. 1-10. Howard: Collective bargaining agreement, Aug. 10-31. Kent: No specific date found. Montgomery: Collective bargaining agreement, on or before Sept. 10. Prince George’s: Local union membership application form, first 30 calendar days of school year. Queen Anne’s: Collective bargaining agreement, no later than Nov. 1. St. Mary’s: Local union membership application form, Sept. 1-15. Somerset: Collective bargaining agreement, prior to Oct. 1. Talbot: Collective bargaining agreement, prior to Sept. 30. Washington: Collective bargaining agreement, prior to Sept. 30. 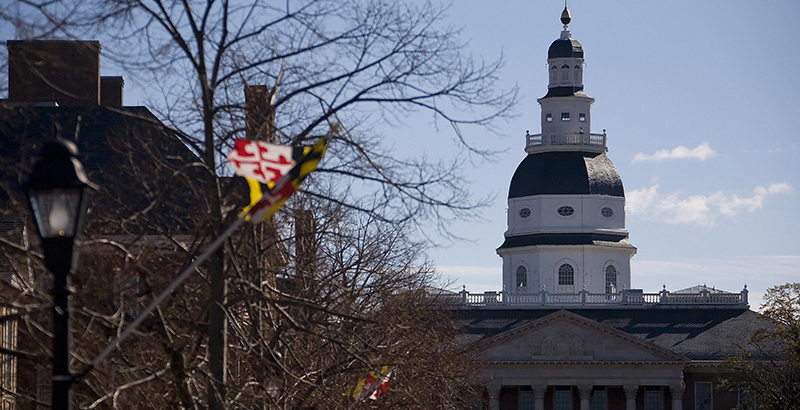 Wicomico: Collective bargaining agreement, Sept. 1-15. Worcester: Collective bargaining agreement, no later than Sept. 15. Suits have been filed in a handful of states to challenge resignation windows, but it may take years for those cases to be decided. Having the freedom to leave doesn’t mean much if you don’t know when the doors will be unlocked. Those who were hoping for a precipitous drop in union membership will be disappointed. For both public-sector unions and their opponents, gauging the effect of Janus is the work of years, not a few months.